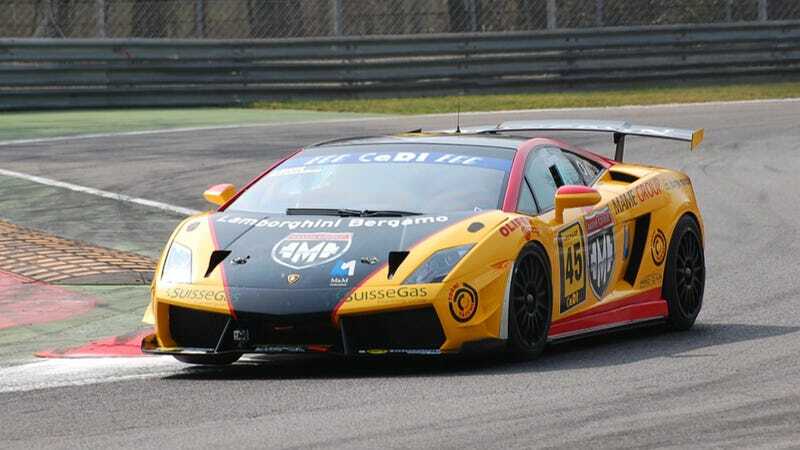 Lamborghini Blancpain Super Trofeo race car driver Andrea Mamé was killed at Paul Ricard circuit today in a crash involving five competitors. It is not immediately clear what caused the accident that took Mamé's life. Le Castellet, June 30, 2013. It is with great sadness that Automobili Lamborghini confirmed that a fatal accident occurred to driver Andrea Mamé in the first Lamborghini Blancpain Super Trofeo race at Paul Ricard this morning. Immediately following the start of the first race at 0920hrs this morning, a serious first lap accident involving five competitors caused the race to be red-flagged. Medical and safety teams were immediately on the scene to attend to the cars involved. Driver Andrea Mamé of car #11 sustained serious injuries to which he later succumbed, despite the emergency medical care administered at the medical centre. On behalf of Automobili Lamborghini President and CEO Stephan Winkelmann expressed his personal sadness and extended the condolences of all the company to Andrea’s family and team. Automobili Lamborghini will be working with the circuit authorities and SRO to investigate the accident thoroughly in all its aspects. A further statement with an update on the other drivers involved in the incident will be issued in due course. All further Lamborghini events at the track have been cancelled for today, with unanimous support from Mamé's competitors. Mamé was born in 1972 and enjoyed hunting and deep-sea diving in addition to racing, according to his website. This marks the third death in two weeks, a worrying trend that began with the death of Allan Simonsen at Le Mans last Saturday.